Mother’s Day articles are usually inspirational, happy, or uplifting. This one is sad, but it is sad in an important way. It reminds us that all life is precious. If you love the Lord, you must also love life, because He is the great giver of life. However, we live in a culture of death. Millions of babies are murdered every year in what should be their safest place – the womb of their mother. Organizations like the Hemlock Society glorify suicide. Our government pays for the elderly to undergo “end of life counseling,” which encourages senior citizens to refuse medical care so they won’t be a “burden” to their families. Both ObamaCare and the British medical systems have death panels of doctors who decide whether your life is worth saving. The death panels have mostly focused on killing the elderly. Now they’re going after babies. Over the last few weeks, I did something I very seldom do. I wrote two articles in a row about the same subject, from different points of view. 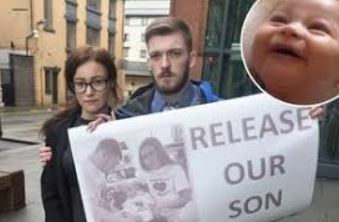 These articles (listed below) were about baby Alfie Evans who was forcibly removed from life support by the British government – against his parents’ wishes. The government even refused to allow the parents to remove the baby from the hospital so he could receive care elsewhere. We don’t normally publish poems on Conservative Truth. 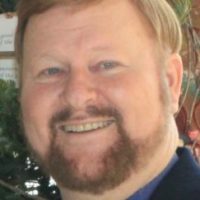 But one of the many Editors who publish my articles on their websites, Rev. Michael Bresciani, added the following at the end of my second article. I think you’ll enjoy it. We want to thank Dr. Barrett for the skillful and compassionate way in which he approached this powerful article on the death of little Alfie. Shortly after publishing this piece a beautiful poem written by Alfie’s loving mother appeared in LifeNews.com and we are appending Dr. Barrett’s article with the poem in its entirety here – compliments of LifeNews.